Aretha Franklin's family have blasted the eulogy delivered by Rev. 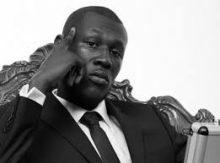 Jasper Williams Jr. at the singer's funeral on Friday, calling it "distasteful". Bryan Ferry Announces His First Dates For 2019, Is Bluesfest A Possibility? Bryan Ferry will start his 2019 dates in South Africa. A David Bowie themed bar is about to open in London. Summersalt featuring Angus & Julia Stone is heading to Rottnest Island, Western Australia. 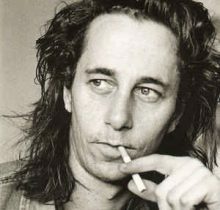 Nick Cave has paid tribute to his former Bad Seeds bandmate Conway Savage who died Sunday from a brain tumour. Pink Floyd co-founder Nick Mason is touring a complete set of early Pink Floyd songs covering 1967 to 1972 and the albums pre-The Dark Side Of The Moon. Cher will play a third Melbourne show at Rod Laver Arena in October bringing total tickets sales in Melbourne alone to near 40,000. Machine Gun Kelly has fired back at Eminem in a new diss track after he was targeted on the rap superstar's surprise album. Rappers Rae Sremmurd have fallen victim to armed burglars. Recent photos of the movie star and rocker have sparked concerns for Depp's health after he appeared to look gaunt and frail, but Alice urges fans not to believe the hype. Britney Spears made a blunder when she accidentally mixed up her concert location with another city. Eminem’s sudden drop of the ‘Kamikaze’ album on Friday has blocked Tash Sultana from a number one debut (and most likely Troye Sivan as well). Conway Savage of Nick Cave and the Bad Seeds 1960-2018 R.I.P. Conway Savage, piano and organ player for Nick Cave & The Bad Seeds, has died at age 58. James Reyne will play a residency at Melbourne’s Crown Casino on the first Saturday of every month for 2019. Atlantic Records co-founder Ahmet Ertegun is exposed as an abusive, sexual harasser in a new book by his former secretary Dorothy Carvello. Lily Allen will return to Australia and New Zealand in 2018 for dates in February. Rapper Nicki Minaj will come to Australia in January for FOMO. Bishop Charles H Ellis III has apologized to Ariana Grande after being called out for inappropriate behaviour at the service for Aretha Franklin. Sam Smith will perform at the Melbourne Cup on 6 November 2018. Singer Lana del Rey has scrapped her upcoming performance in Israel after struggling to set up another show in Palestine to appease fans on both sides of the political conflict. 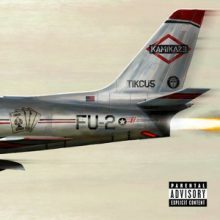 Eminem's 10th studio album, Kamikaze, landed just after midnight (31Aug18) and looks set to cause controversy as he fires back at criticism of his previous release Revival, taking shots at Charlamagne Tha God, Machine Gun Kelly, Joe Budden, and Lil Yachty, among others. 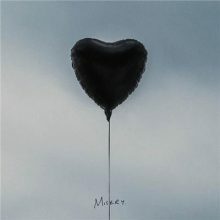 The sixth studio album titled "Misery" for local Australian metalcore act The Amity Affliction becomes their fourth consecutive No.1 as it tops the ARIA Albums Chart this week. 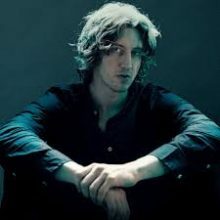 Local singer songwriter Dean Lewis holds for a third week at the top of the ARIA Singles Chart with "Be Alright" thanks to a week of heavy promotion by him.